Grohe vs Hansgrohe: what is the difference between the two brands? Grohe vs Hansgrohe: what are the differences and similarities between the two German premium manufacturers? 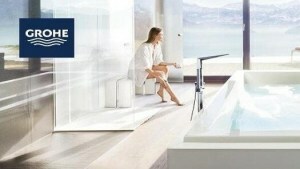 Grohe and Hansgrohe – pretty much everyone has heard of these two German brands. 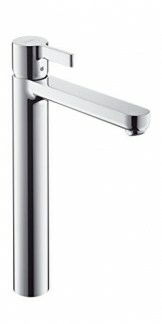 They stand for high-quality sanitary fittings, innovation, and elegant design made in Germany. However, there is often quite a bit of uncertainty as to their relationship and whether or not the two companies are related to each other. Some even assume that Hansgrohe and Grohe are two brands of the same company. To shed some light on the subject, we will take a closer look at the differences and similarities between the two brands below. To come right out with the facts: the two brands are not part of the same company. In fact, quite the opposite is the case. The two premium manufacturers of bathroom and kitchen faucets and sanitary fittings are two completely independent companies and even arch-rivals in their industry. In 2010, Hansgrohe even used the leniency program in an EU antitrust case against the so-called “bathroom cartel” – which the company itself was part of – to avoid a penalty. Other members of the cartel included Grohe. This procedure goes to show that when push comes to shove, no punches are pulled – even against your own family members. It was founded in 1901 by its namesake Hans Grohe in Schiltach, Germany. In case you might have wondered – the similarity of the two names is not a coincidence, as everything started with the company Hansgrohe. It specialized quite quickly in the production of metal products for the sanitary sector, especially showers and plumbing technology. 1936 began the international expansion. 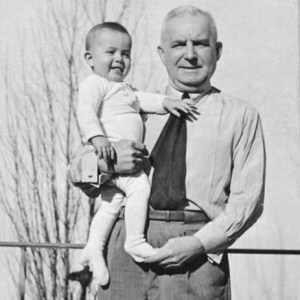 It was in the same year that Friedrich Grohe, the second oldest son, left the company. This decision should soon turn out to be a momentous step, more on that in a second. In 1975, Klaus Grohe – Friedrich’s half-brother and the youngest son – took over the management of Hansgrohe. As already mentioned, Friedrich Grohe left the company Hansgrohe, allegedly because of internal disputes. But Friedrich did not merely leave and take it easy from then on. Instead, he bought a sanitary fittings factory in Westphalia, Germany in that same year and started the production of fittings – thus the company Grohe was born. At that time, however, Hansgrohe and Grohe were not yet direct competitors, because the range of products was still different. That changed completely when Hansgrohe also began producing sanitary fittings in 1981, which officially made them direct rivals. Hansgrohe now makes almost € 1.1 billion in sales (as of 2017), has 37 branches worldwide on all continents and employs 5,000 people, 60% of them in Germany. The company has registered approximately 2,500 patents in its history, including the automatic overflow, the shower rod, the sprinkler with adjustable jets and the kitchen tap with a pull-out spout. Today, 68% of Hansgrohe is owned by the American Masco Corporation, with 32% of the shares held by the Klaus Grohe family. In addition to the Hansgrohe brand, the Axor brand is also part of the company. The company Grohe is even larger: in 2016 it made € 1.3 billion in sales with 6,000 employees worldwide (40% in Germany). It has representations in 150 countries. 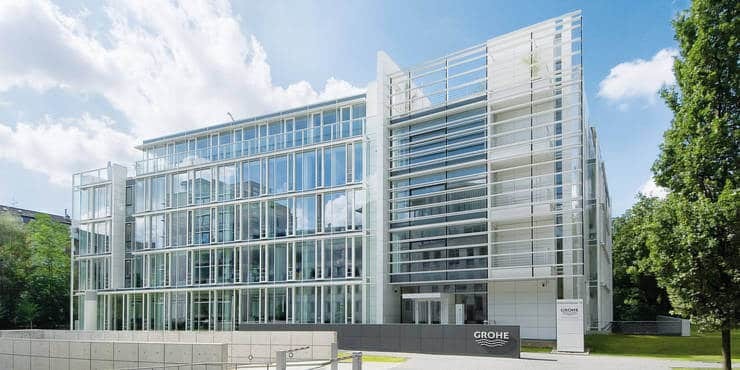 Today, Grohe is a stock corporation and has been part of the Japanese Lixil Group since 2014. The company has already been awarded the honorary prize for corporate design and design management by the state of North Rhine-Westphalia, Germany. Grohe or Hansgrohe – which faucets are better? You are not sure which of the two manufacturers you should choose? Or whether it’s even worth spending more money on an expensive brand’s fitting? 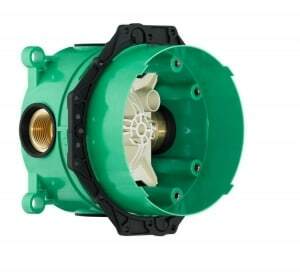 Find out more about the fittings of the two industry giants on the following pages. There, among other things, we look at the technologies that are used in the fittings. How good are Grohe faucets really? Are Grohe & Hansgrohe compatible? This question can be answered from two angles – from a technical as well as a visual viewpoint. From a technical perspective, you should be very careful if you already have a concealed fitting with an installation body, such hansgrohe’s iBox. As long as you stick to fittings from the same manufacturer, these all fit easily on or into the box. But if, for example, you have the hansgrohe box and you then want to change the rest of the fittings to Grohe, it can quickly lead to compatibility problems – the new fitting simply does not fit on the old box. In the case of surface-mounted fittings, on the other hand, things are usually much simpler. Basically, you can switch happily back and forth between different manufacturers. As long as you stick to the same basic mounting style – so not switching from a one-hole to a three-hole fitting, everything should fit easily. You can then simply use the existing holes in washbasin, sink, bathtub or shower to install your new fitting. To be on the safe side, however, make sure to pay attention to the new fitting’s dimensions before buying it. Whether the products of the two manufacturers are also visually a good match ultimately depends on your individual taste. From our point of view, most of Grohe and hansgrohe’s products should go very well together design-wise, because both companies basically rely on simple, elegant, timeless design. Whose fittings are cheaper & which ones are more expensive? This question cannot be answered in one sentence – both Grohe and Hansgrohe have products with very different price ranges in their assortment. Basically, the two brands are clearly established in the premium and thus also in the upper price segment. However, both brands also have surprisingly affordable models on offer, such as simple faucets for the washbasin for well under 100 €. A noteworthy difference is hansgrohe’s luxury brand Axor, which almost exclusively offers noble designs in the highest price segment. This extremely high-end (price) spectrum is something you won’t find with Grohe. Additionally, the sheer size of the product range offered by both companies makes a direct price comparison very difficult. And since both companies put a lot of effort into making their products as unique and distinct as possible, one could always argue that a price comparison would not be comparing apples to apples. Nonetheless, it is a matter of fact that for most models offered by one brand, a very similar or at least comparable model can be found in the other company’s portfolio – a consequence of the fierce competition. To get a better idea of the prices in direct comparison, use our quick filter or the product overview below. In contrast, there is no other connection between the brands Hansa & Hansgrohe than the fact that the companies are also competitors. Apart from that, there is no historical connection between those companies beyond the same first three initial letters of their names. Hansa Armaturen GmbH is also a traditional German company, headquartered in Stuttgart. Today, the company belongs to the Finnish Oras Group. Hansa’s motto is “Experience water” and, like Grohe and Hansgrohe, also offers high-quality sanitary fittings for the bathroom and kitchen. 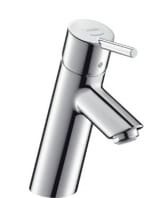 Just like Grohe fittings, Hansgrohe fittings stand for highest quality made in Germany. But the product range of the two manufacturers is so huge that the selection may be very difficult. That’s why we have compiled the 5 most popular fittings from Hansgrohe and Grohe, grouped according to the respective manufacturer, in the following overview. Only products that are frequently bought and at the same time consistently receive positive customer reviews make it into the top 5. Just click on the “Grohe” or “Hansgrohe” tab to see the Top 5 for each brand. You are here: Homepage » Grohe vs Hansgrohe: what are the differences and similarities between the two German premium manufacturers?